After spending the night at the Castle Hotel in York we began the journey to the Overlander Hotel. It was a shorter day on the road, traveling 783kms to reach our destination, but the scenery was fantastic. 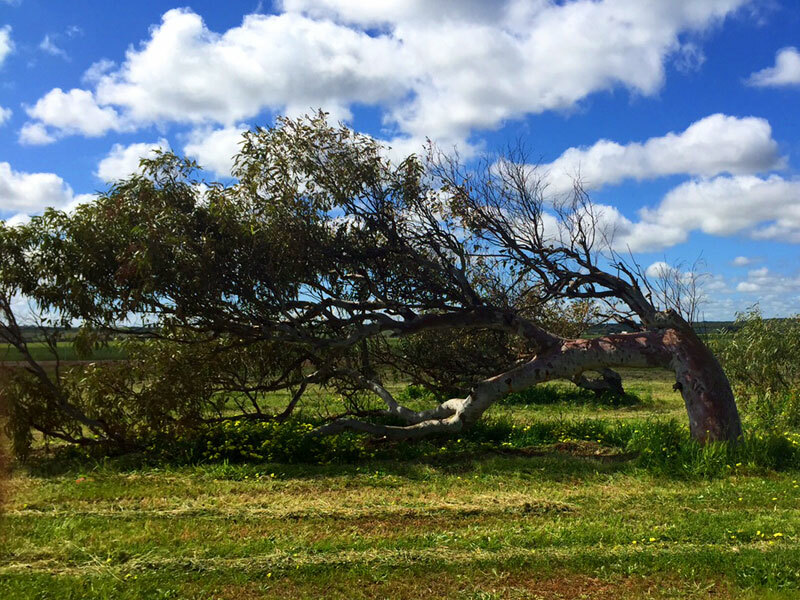 Driving through Greenough we passed some of the most spectacular, bent trees we had ever seen. Apparently the extreme winds out here will force these trees to bend, causing them to grow sideways and towards the ground – what a sight!! We continued on but stopped to take some photos at Tarcoola Beach before heading on to Geraldton to fill up the Rattler and the Reserve Tanks with fuel before continuing on up to our destination for the night. the Overlander Hotel.